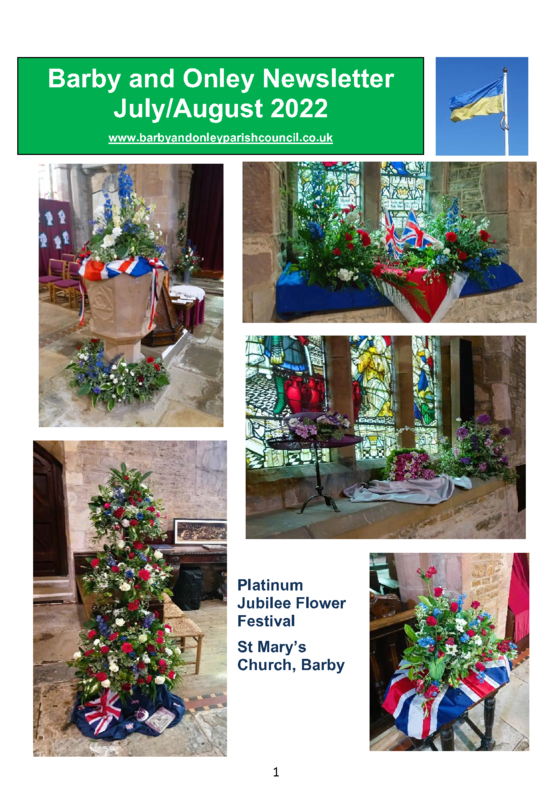 Ian Webb is the editor of Barby and Onley Village Parish Newsletter. Charity village events will be included free of change. If you run a business and wish to advertise in the monthly newsletter, your advert will be delivered to all 550 homes in Barby and Onley. You can advertise with us for £20 for half an A5 page, £10 for a quarter A5 page and £1 per line for small written ads. (Prices shown are for village businesses, those outside Barby & Onley will be charged at twice these rates). Deadline for the items is usually 5pm on the Friday before the last full week of the month to allow time for printing and distribution so that everyone gets their newsletter by the start of the following month.